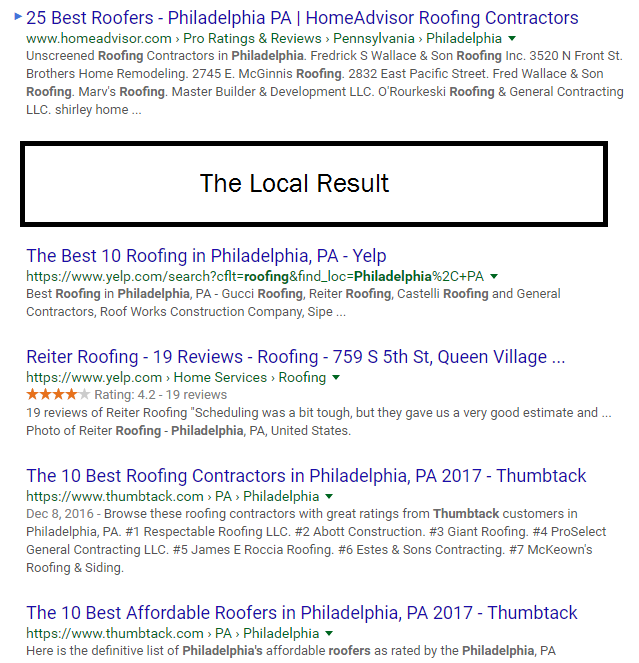 This blog post can be thought of as “in conjunction with” the previous post about generating leads for home service businesses. I started today with a bit of an experiment around one keyword specifically. There was only one local result. The rest were directory sites like Home Advisor, Angies List, etc. While a lot of SEO Companies may buckle and say “You can’t beat those guys”, I beg to differ. In fact, I will take it up a notch and say that I will use that opportunity to generate leads that you don’t have to fight for. At the end of the day, it’s mathematics when it comes to winning the Google Game. My job as your Digital Marketing Guy is to discover what it will take and make it happen. As I mentioned above, I want to take it a step further and get the phone ringing for you. It should never stop at “just traffic”. Here’s a secret, most SEO Consultants ignore the lead generation part. As I always say, I’m here to help. If you want to talk about anything Digital Marketing Related, you can set up a complimentary session with me here. I will analyze your site and share the plan with you. Let’s get you a custom digital marketing startegy.